It is quite surprising that a 'B' team from West Indies is stunning teams with some of the best players in the world. It’s been a week since the inception of the Global T20 Canada. Although it’s just the first season, the league was grabbed the attention of fans all around the world. High-scoring games, big hits, terrific efforts on the field, brilliant bowling displays – the league has seen it all. On the seventh day of the tournament, the Winnipeg Hawks faced the Cricket West Indies B team. The CWI-B continued its winning streak to make it back to the top of the points table. They haven’t lost a single game in the tournament thus far. David Warner, who was leading the Winnipeg Hawks ended up disappointing everyone yet again as nothing seems to be going his way at the moment. The Winnipeg Hawks were put into bat first by CWI-B. However, on a good batting track, Hawks failed to put up a decent total. David Warner tried hard to fight his way back. But, some sheer brilliance on the field from Justin Greaves put curtains on his innings. He was dismissed for 6 runs. 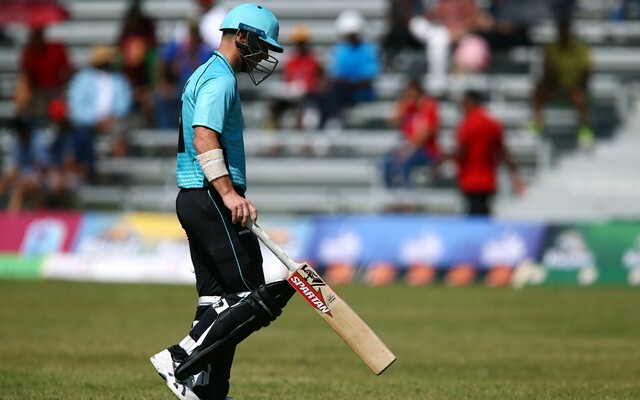 Lendl Simmons and Ben McDermott tried hard to get the innings back on track but both of them got out at the wrong time after getting good starts. After these dismissals, none of the other batsmen got going expect of Mark Deyal who scored 24 off 14 at the end to take the total past 150. With the kind of form, the CWI-B team is in, Chasing 152 was never going to be tough. Although they lost S Rutherford early in the innings, Justin Greaves and B King ensured that they chased the target down without losing any wickets further. Justin Greaves was brilliant with an 89 off 58 balls. He was well complemented by B King who anchored the innings. King scored 43 off 42 as CWI-B won the game by 9 wickets with more than 2 overs to spare. The Hawks clearly missed DJ Bravo in the side who is currently busy playing the Vitality T20 Blast in England. CWI-B won by 9 wickets.